Made in Russia, and built to last in the toughest conditions for the best of the best! 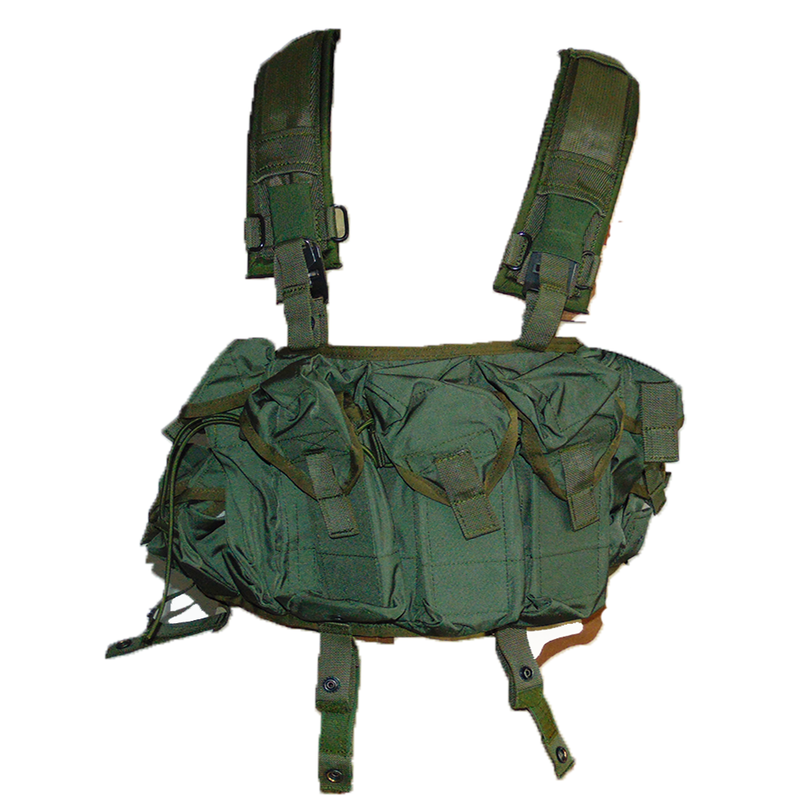 Developed for the Russian SSO ("Sily spetsial’nykh operatsii") or Special Operations Forces, these "Jaeger" rifleman chest rigs can be quickly thrown on the operator as a standalone or over body armour. 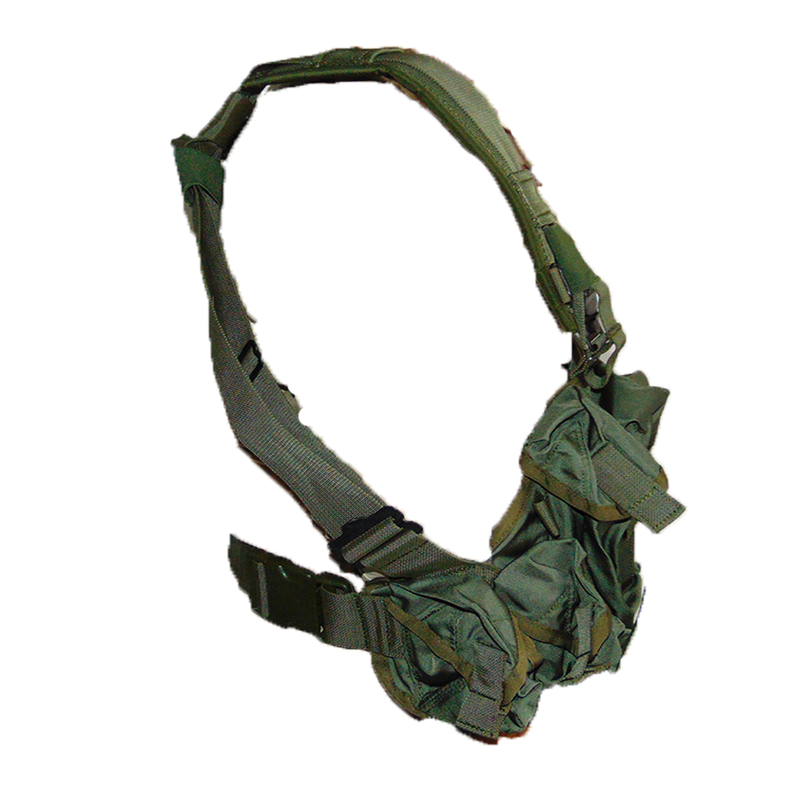 Easily adjustable with elasticated bands to secure excess straps, this simple rig built as a small, lightweight multiuse rig, that can still withstand everything "Mother Russia" will throw at it. 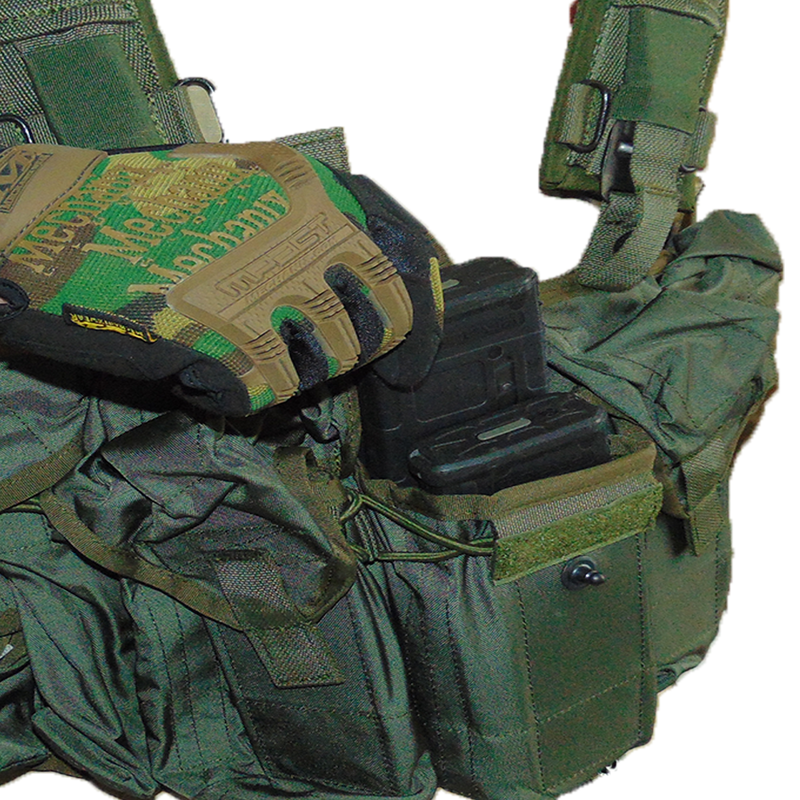 This awesome rig is an all in one, featuring 6 double stack magazine pouches at can accomodate both AR15 STANAG or AK47 magazines, 2 long pouches for smoke grenades (or candy bars), and 4 small grenade pouches, all of which are secured by velcro. 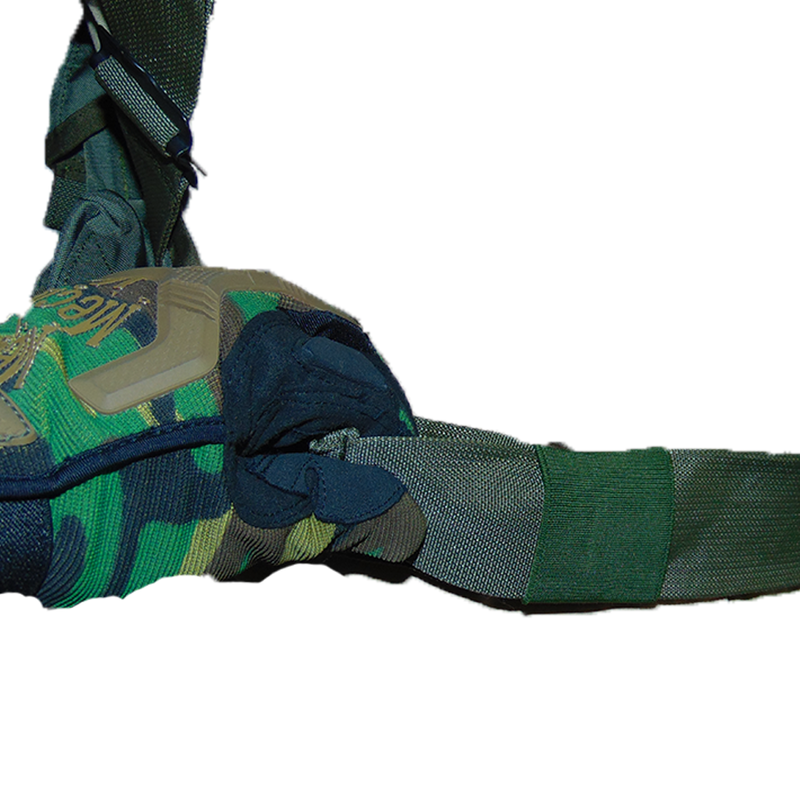 There is also an opening in the interior of the rig for documents, or even an extra magazine. 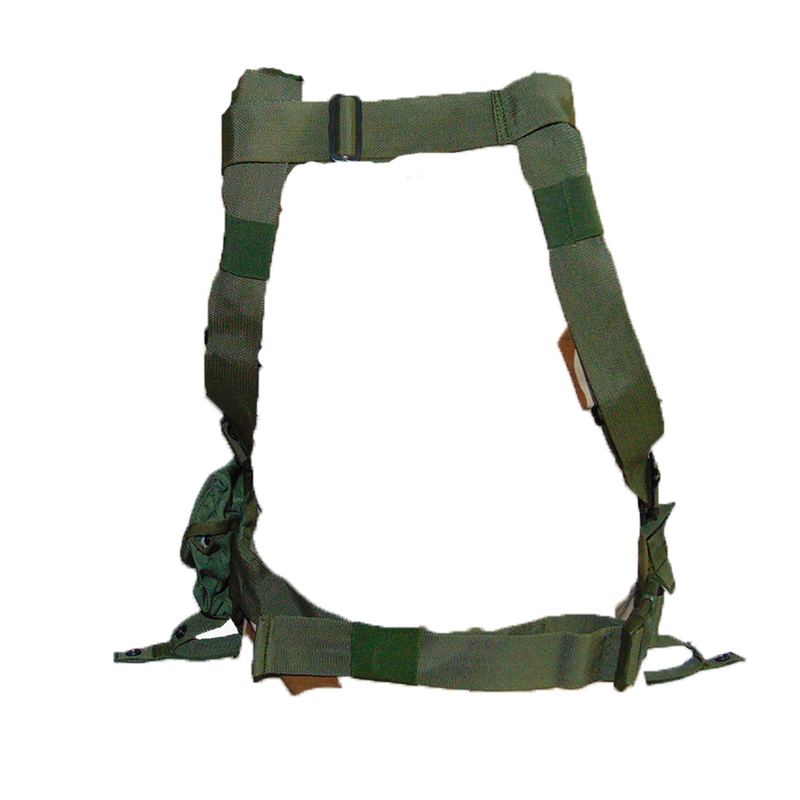 It is constructed from sturdy Codura in Ranger Green, with reinforced nylon harness straps that additionally feature nylon loops to hook carabiners or tourniquets.